Colorado Executive Search Firm Insurance. Finding the right people to work in your business is important. This is why executive search services exist. Executive search services research, identify and interview candidates for companies that need executives and senior management personnel. To find the right person an executive research company must identify specific characteristics. Doing this allows them to find the right person for the job. Unfortunately, just like any other business, many risks come with this type of business. With the different risks involved it's best, you have Colorado executive search firm insurance for your business. In this post, we'll take a look at the different coverages and how you can choose the best ones. Colorado executive search firm insurance protects your headhunting business from lawsuits with rates as low as $67/mo. Get a fast quote and your certificate of insurance now. Commercial General Liability Insurance - Having this type of Colorado executive search firm insurance helps when there are lawsuits made against your company. Any lawsuits made against your business for third-party bodily injury or property damage is covered when you have this type of coverage. It helps you with any direct costs that come as a result of the operation of your business. Commercial Property Insurance - Having this coverage protects the buildings you use for your business and the contents that are in them. Many things can damage your business like fire, smoke or inclement weather and you must have protection from them. This is why having this type of protection is important. Fortunately, most times business interruption coverage is included with CO commercial property insurance. When there's a period that your business is unable to function the way that it should then this coverage helps with any expenses. 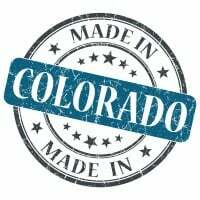 Request a free Colorado Executive Search Firm insurance quote in Akron, Alamosa, Arvada, Aspen, Ault, Aurora, Avon, Basalt, Bayfield, Bennett, Berthoud, Boulder, Breckenridge, Brighton, Broomfield, Brush, Buena Vista, Burlington, Carbondale, Castle Pines North, Castle Rock, Cañon City, Cedaredge, Centennial, Center, Cherry Hills Village, Colorado Springs, Columbine Valley, Commerce City, Cortez, Craig, Crested Butte, Cripple Creek, Dacono, Del Norte, Delta, Denver, Durango, Eagle, Eaton, Edgewater, Elizabeth, Englewood, Erie, Estes Park, Evans, Federal Heights, Firestone, Florence, Fort Collins, Fort Lupton, Fort Morgan, Fountain, Fowler, Fraser, Frederick, Frisco, Fruita, Georgetown, Gilcrest, Glendale, Glenwood Springs, Golden, Granby, Grand Junction, Greeley, Greenwood Village, Gunnison, Gypsum, Hayden, Holyoke, Hudson, Idaho Springs, Johnstown, Julesburg, Keenesburg, Kersey, Kremmling, La Junta, La Salle, Lafayette, Lakewood, Lamar, Las Animas, Leadville, Limon, Littleton, Lochbuie, Lone Tree, Longmont, Louisville, Loveland, Lyons, Mancos, Manitou Springs, Mead, Meeker, Milliken, Minturn, Monte Vista, Montrose, Monument, Mountain Village, Nederland, New Castle, Northglenn, Olathe, Orchard City, Ordway, Ouray, Pagosa Springs, Palisade, Palmer Lake, Paonia, Parachute, Parker, Platteville, Pueblo, Rangely, Rifle, Rocky Ford, Salida, Severance, Sheridan, Silt, Silverthorne, Snowmass Village, Springfield, Steamboat Springs, Sterling, Superior, Telluride, Thornton, Trinidad, Vail, Walsenburg, Wellington, Westminster, Wheat Ridge, Windsor, Woodland Park, Wray, Yuma and all other cities in CO - The Centennial State.